Pigs and chickens are well-known vectors for human influenza, but frogs and salamanders? 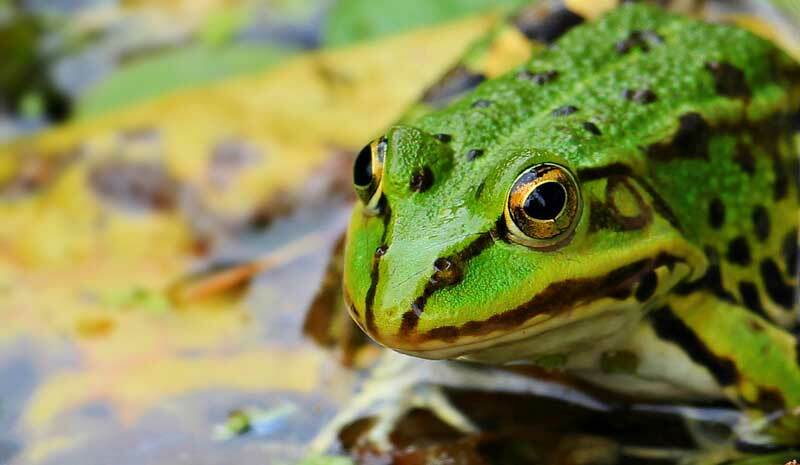 Kansas State University veterinarians are looking at wild amphibians as possible reservoirs for influenza and other human diseases. Yongming Sang, Ph.D., a research associate professor of anatomy and physiology in the College of Veterinary Medicine, is leading the study. Sang noted that reptiles and amphibians are considered potential vectors for human diseases, harboring influenza A viruses (IAVs) and other zoonotic pathogens, but their role in transmitting disease to humans has garnered little attention. “To examine this potential epidemiological link, we tested the susceptibility of frog cells to different subtypes of IAVs isolated from several animal species, including avian H9N2, equine H3N8, human H1N1 and swine H3N8, human H1N1 and swine H1N2 and H3N2 viruses,” Sang said. Compared with the IAV strains isolated from chickens and horses, pig isolates showed higher infectivity in frog cells, indicating a closer relationship between amphibians and pigs in IAV exchange before the virus jumps to humans, he said. “We learned that amphibians, as typical insect eaters, could also be critical vectors for other arthropod-borne viruses and intracellular bacteria, which are major health threats in both humans and animals,” he said. Originally published in the September 2016 issue of Veterinary Practice News. Did you enjoy this article? Then subscribe today!